Are you an NGO, lawyer, business, or consultant working in the GCC? Would it be useful to have a team of expert translators standing by to handle your most critical Gulf Arabic translation projects? Industry Arabic is a specialist translation agency focused exclusively on English to Arabic and Arabic to English tranlation. We help our clients optimize their communication in dealing with the Arab region’s distinct language and culture. With our broad experience and fluency in Gulf Arabic, we have helped our clients successfully do business in the Arabian Peninsula for almost a decade. What Makes Gulf Arabic Unique? The Arabian Peninsula is the birthplace of the Arabic language and home to some of the world’s most influential political leaders, investors, and power-players. With its strategic location, vast oil-reserves, and limitless financial resources, the Gulf represents one of the most important logistic, economic, and political centers of the world. If your business is looking to expand into this marketplace, knowledge of the regional dialect could be the decisive factor in separating you from the pack. 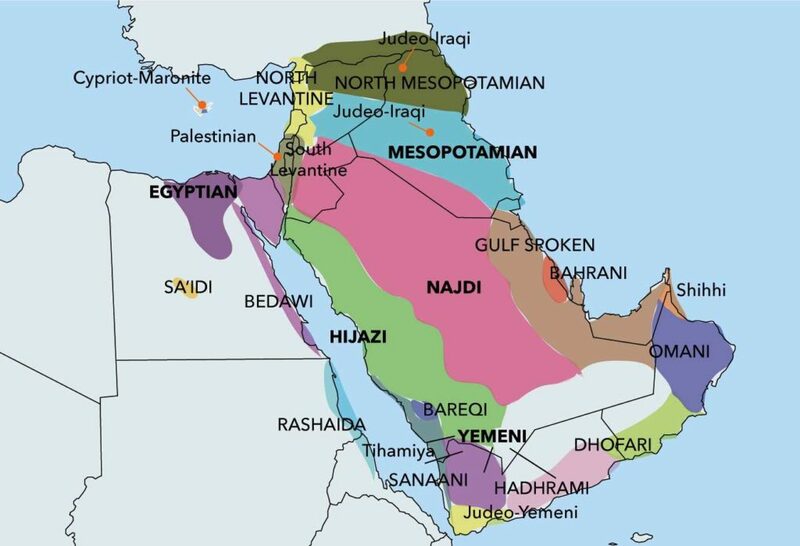 Gulf (Khaleeji) Arabic is the dialect of Arabic spoken across the six nations that form the Gulf Cooperation Council (GCC): Saudi Arabia (mainly in the eastern part of the country), Kuwait, Bahrain, Qatar, the UAE, and Oman. While each country has its own unique variant, the overall structure of the dialect is mutually intelligible across the Gulf region. As it is close to Classical Arabic, some speakers maintain the division between male and female forms of 3rd person plural pronouns (i.e. : همّ [humm] for men and هنّ [hunn] for women). In some places, an alif (أ) is placed at the beginning of third person pronouns (e.g. : أُهوّ [uhuw]; إهيّ [ihiy]; أُهمّ [uhumm]). Gulf Arabic also has some different optional pronunciations that vary from other Arabic dialects. For example, the kaaf (ك) is sometimes pronounced as “ch” (as in “cheese”) or “sh”, especially if used as 2nd person object pronoun (e.g. : كيف حالك [kaifa Haaluka in Modern Standard Arabic] would sound like keef Haalech/sh). In some instances, the letter jeem (ج) can be pronounced like a yaay (ي). Additionally, the letters ghayn (غ) takes on the sound of the qaaf (ق), while the qaaf (ق) sounds like a “g”. As with other dialects, the DaaD (ض) usually sounds like a Dhzaa (ظ). See our full guide to Arabic dialects here. Subject Matter Expert Human Translators: While some firms begin with a machine translation draft before being cleaned up by a human editor, we have found that automated translation introduces more problems than it solves, particularly in the GCC context. We approach each translation with a pair of tested, trusted linguists, a translator and editor who are experienced in preparing documents for top GCC decision-makers. They will render the project translation in a readable, accessible format for the target audience. Many of our translators also specialize in specific industries, such as technical, legal, and medical translation. Finally, our team is spread across several time zones, you can rest assured knowing that your time-sensitive project is ongoing, even while you sleep. Linguists With Deep Gulf Experience: Every Industry Arabic translation goes through a two-step review process to verify accuracy and readability. For Gulf Arabic projects, these processes are handled by professional Gulf-dialect linguists who understand the Arabian Peninsula’s language and culture. After finishing the translation, the translator edits the document against the source text. Next, they submit the document to our project managers, who proofread it and ensure that it is ready for delivery. In this way, you know that your project is being handled by individuals familiar with this particular dialect. Streamlined Translation Management Process: We make the translation process as easy as possible for you and your employees. Whether you have graphic-heavy presentations to translate, a Saudi dialect TV interview that needs to be subtitled, or a report that requires intimate knowledge of Gulf politics, our team can support in any format you need. Socioeconomic Development: We have translated millions of words of heavily-formatted Powerpoint documents in support of a high-profile development plan for a GCC state. The documents included RFP’s, project budgets and work-plans, and status reports for senior government officials. Royal Biography Project: Our clients asked us to help with a video archive chronicling the life and times of a GCC political leader. This included not only translating, transcribing, and subtitling oral interviews in the Gulf Arabic dialect, but also localizing and developing original content for both English and Arabic-speaking audiences. As such, this project is one of the best examples of our “transcreation” services. Gulf Governmental Affairs: Our team translated many PowerPoint slides for a consulting firm supporting several GCC governmental bodies. In doing so, we ensured all slides were formatted to match Arabic’s right-to-left orientation and conformed to the client’s glossary and style guide. We localized all of the many images found throughout the slides for a Gulf audience. Ready to begin your Gulf Arabic translation project? Simply use the form here for a quick and free quote.